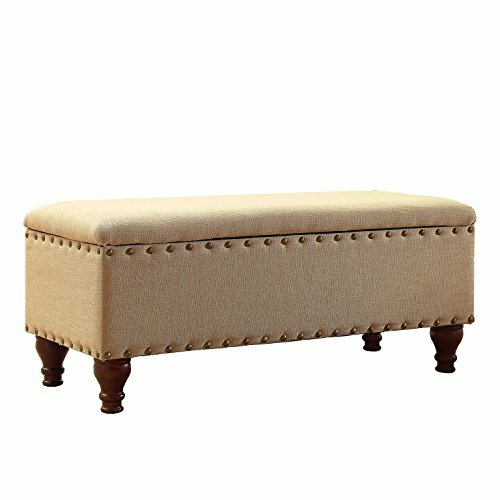 Classically designed oversized rectangular storage bench in a neutral tan linen fabric. Premium construction, spacious storage, nail head trim, wooden legs in a light cherry finish. Enjoy as a seating and storage solution at the end of your bed, behind a sofa, or in your entryway. Assembly required. Spot clean fabric. Dimensions 42”lx18”wx18”h. Maximum weight capacity 250 lbs.